Maasai tribesmen in Kenya pose with Sudan, the only male of the last three northern white rhino left on the planet. Sudan is 43 years old – an ‘old man’ in a species that has a lifespan of approximately 40 years. Pictured on 18 June, the men had just taken part in a charity cricket match, part of a two-day tournament called Last Male Standing. 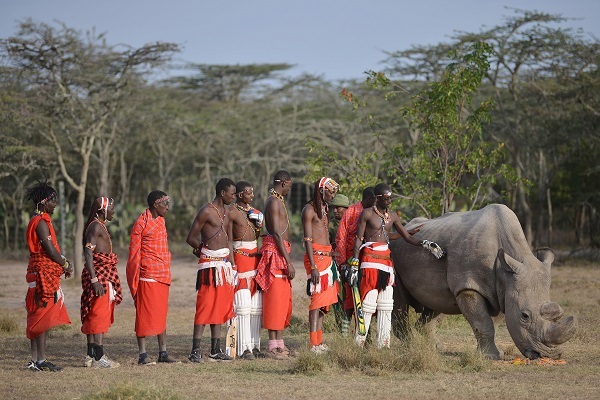 The tournament was a bid to raise awareness of the plight of this rhino sub-species, and to generate funds to research ways to save it from extinction. Matches took place in the wilds of Laikipia county’s Ol-Pejeta Conservancy: a wildlife conservancy at the foot of Mount Kenya. This article is featured in issue 90 of Positive News magazine. 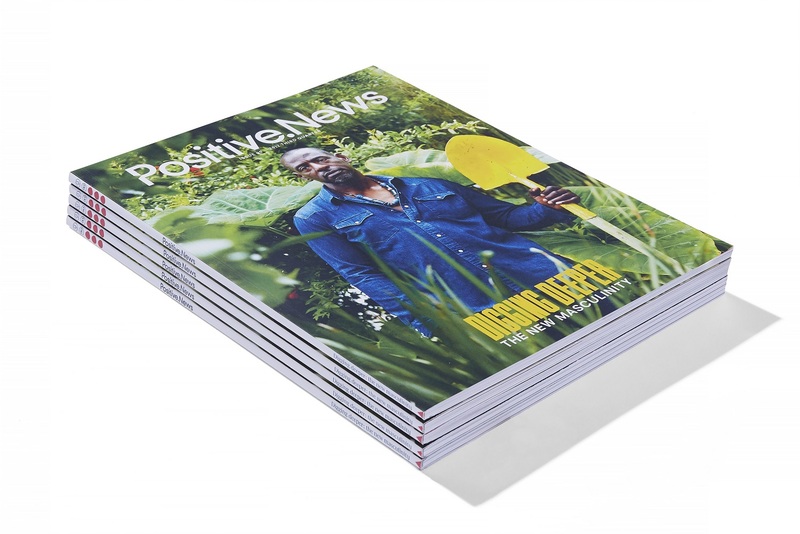 Become a subscriber member to receive Positive News magazine delivered to your door, plus you’ll get access to exclusive member benefits.